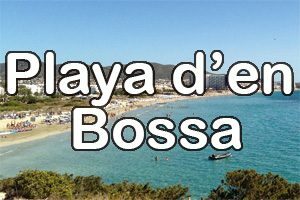 Home to Ibiza’s longest beach, Playa d’en Bossa Ibiza attracts an international crowd from all walks of life with hotels and venues catering for the uber rich to the more modest budgets and everything in between. 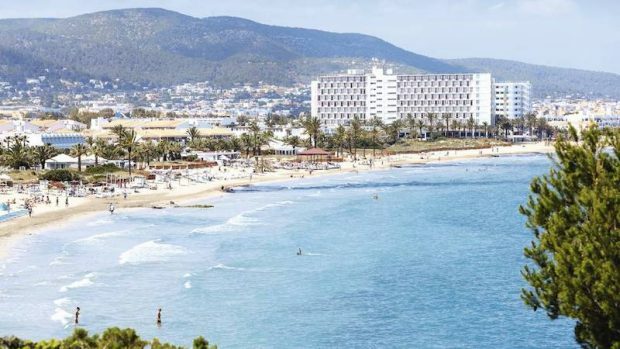 Situated only 10 minutes from the airport and Ibiza Town it is ideally located so you can experience a little bit of everything Ibiza has to offer. It is also known as a clubbers paradise with several major daytime and nighttime venues hosting top name DJ’s each week across the summer. The beach is the main focus of the resort with sunbeds, parasols and bali beds situated along its length stretching down to the water’s edge. 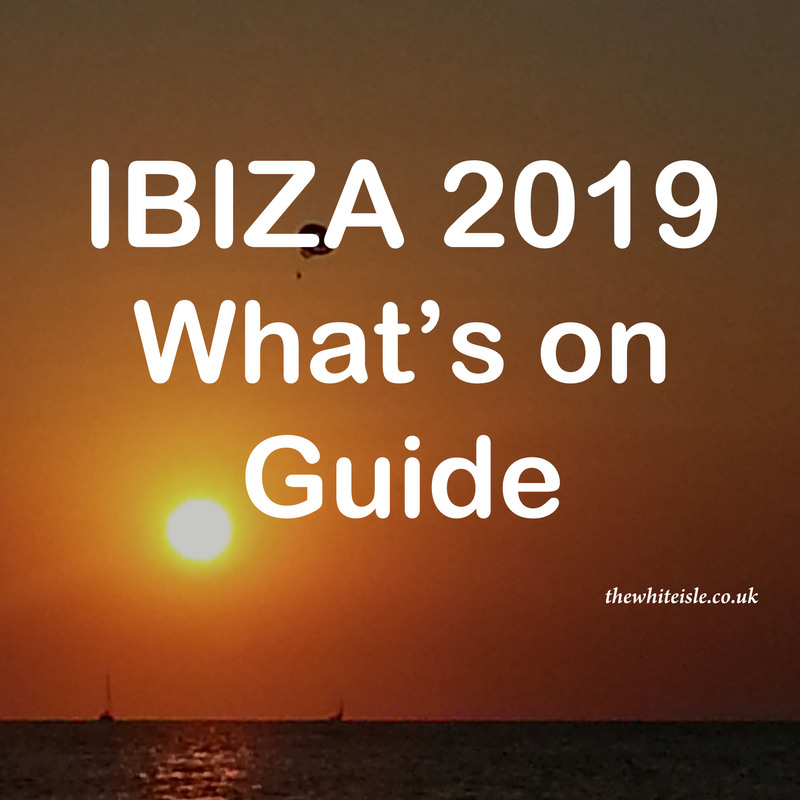 The bars, hotels and beach clubs which adorn its length are on hand to serve you drinks and food all day long so you can relax by the water’s edge with relaxed tuneful beats from the DJ’s drifting on the breeze. Places to check out include beach lounge bars Nassau, Lips Reartes and Beachouse Ibiza for a taste of paradise and perfection. Watersports are a natural pastime here and on hand are pedalos, stand up paddle boarding and jet skis as well as the fun of the banana boats and diving excursions which are readily available. There is also a waterpark, Aguamar, which makes for a great afternoon out with a variety of slides suitable for all ages with changing rooms, showers, snack bar and sun beds for those who are happy to relax while other go off having fun. From the very elegant and unique lab of Paco Roncero situated in the Hard Rock Hotel to much more budget orientated snack bars to the relaxed and chilled out beach clubs you will find your taste and budget well catered for. Away from the beach there is a large area for shopping. Find yourself the latest beachwear or named brands or grab a snack from the many supermarkets before heading back to the beach. 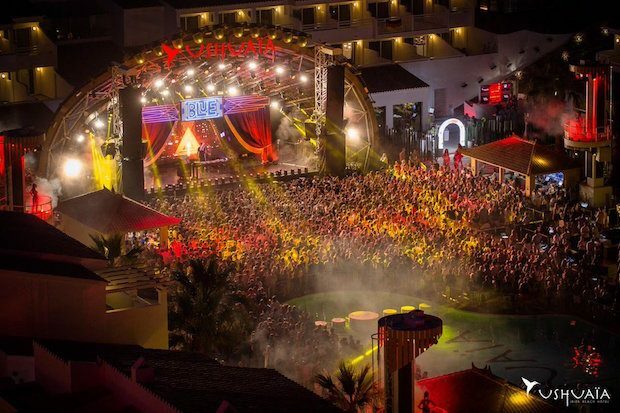 Playa D’en Bossa is a clubbers paradise which is home to the daytime venues of Ushuaia and Bora Bora Beach Club. For the evening the replacement to Space, Hi Ibiza and Thrive Ibiza (previously Sankeys) which a very popular nightspot with people from across Europe. Added to this Pacha, Amnesia and Privilege being only 10 minutes away by taxi or slightly longer by the Disco Bus this is a great place for clubbers to stay. Away from the major venues there are numerous sports bars to lounge style venues. Whether you want a relaxed hideaway or an outrageous party place it can be found within a short walk in Playa D’en Bossa. From the 5 star resorts of Ushuaia Hotel and Hard Rock Hotel or if you fancy something smaller and more intimate try the stylish Santos Ibiza Coast Suites. 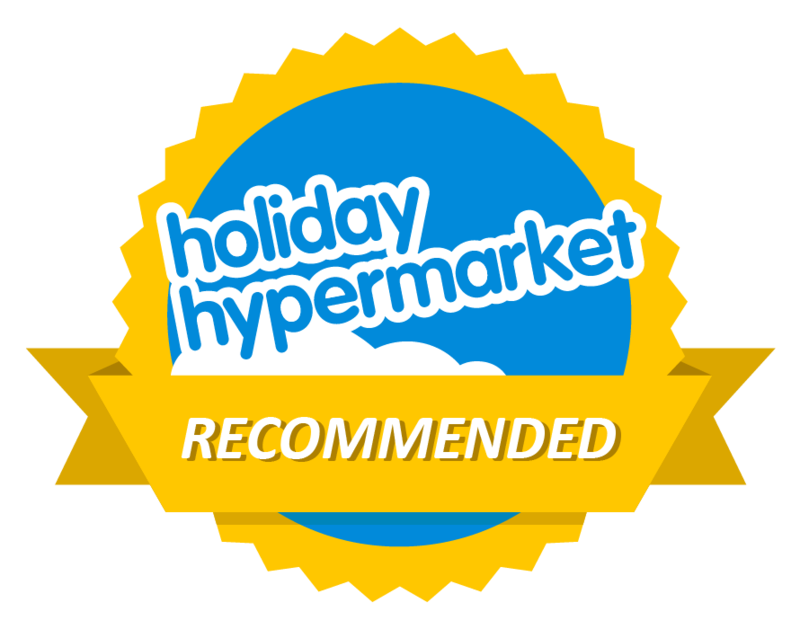 If saving money for clubbing rather than sleeping is important, there’s also a great choice of economically priced apartments, some of the best are the very popular Sal Rossa, the budget Bora Bora or the famous Jet Ibiza Apartments.